$25 weekend passes will be available at http://bruisedtongue.com/ on sale below, and in store following the full lineup announcement. Only 100 passes will be made available to the public so act fast. 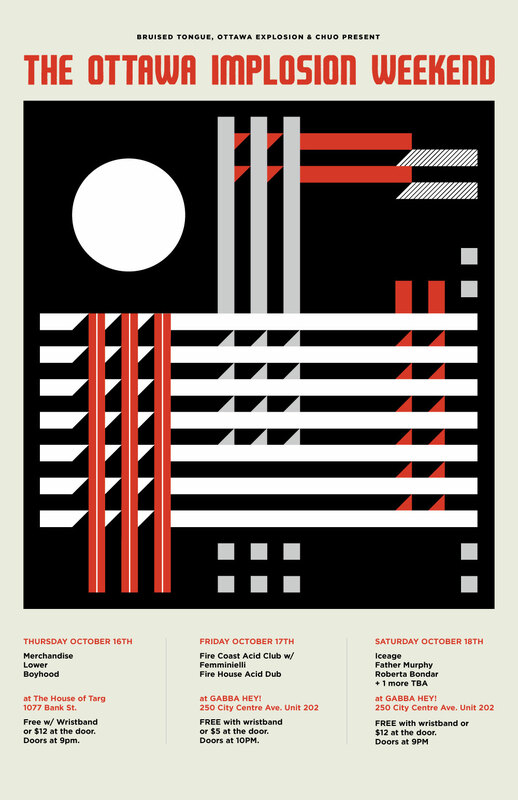 3 days of the best contemporary underground post-punk, psych, and dark disco from North America and Europe, October 16-17-18 2014, here in the Nation’s Capital. FREE with pass or $12 at the door. Doors at 9PM. FREE with pass or $5 at the door. Doors at 10PM. ULTRATHIN s/t LP out now! The Yips premiere Point Dume video on Exclaim! Email info@bruisedtongue.com for questions, comments, concerns or ordering inquiries.